Did you know that Avon, the iconic beauty brand has a line of gorgeous home decor? If you answered no, you are not alone! Most people categorize the Avon name with beauty, skincare and maybe fragrances, but the New Avon LLC offers savvy shoppers so much more. That’s why I’m excited to share their current sweepstakes for gorgeous dinnerware and decorative accents with you. I am an Avon Representative and will receive commission on any sales made at my e-store from the links shared in this post. Isn’t that a pretty prize set? It has a retail value of $119 dollars. I’ve purchased several Avon Living products and can assure you they are well made. Here’s what’s in their Summer Soiree prize bundle. 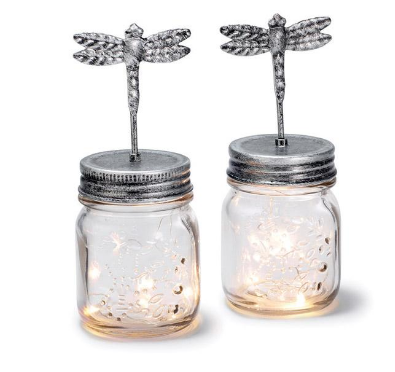 While I love the dinnerware sets, I think my favorites are the little dragon fly place card holders! I want to purchase those for our back deck and put lights in them. If you want to shop the look now, just click any product name above to be taken to my Avon store, where you’ll enjoy free shipping on all orders over $40. Entering is easy and there is no purchase necessary. Just head on over to my Avon e-store here and enter the form. Feel free to use the social sharing tools so your family and friends can enter as well. While you are there, I’d love it if you’d take a look around the Avon Living section. I think you’ll discover we carry products you want or need for summer fun, like our products for a great stay cation. S’more’s anyone? Maybe you prefer to garden like I do. 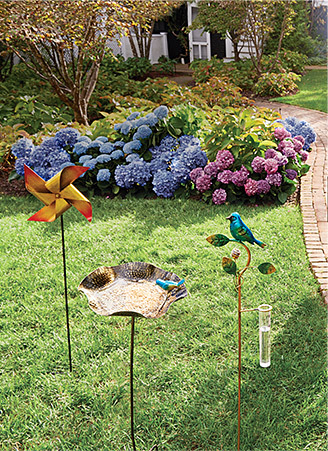 Avon Living has a section for you as well making it easy to glam up your garden. 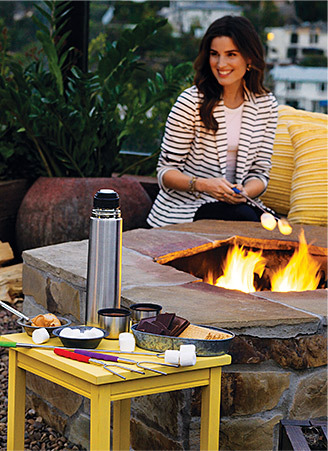 As you can see, the Avon Living catalog is full of summer soiree worthy ideas and fun accessories. Be sure to go enter their sweeps right now and please consider me your Avon lady if you don’t already have one. Contact me for free brochures and samples, information on starting your own Avon business and more via my Avon e-store, my Facebook wall, or leave a comment here. Good luck on the Summer Soiree Sweeps! Please share in comments: What Avon Living dinnerware or decorative accessories from the prize bundle are you most excited about? 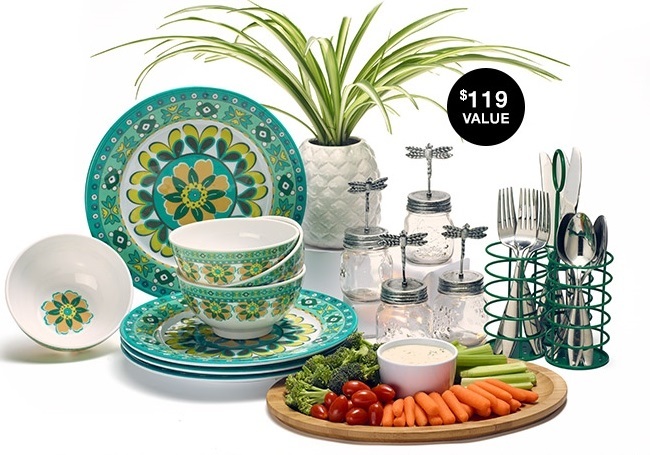 I love the decorative dinner plates, the colors are vibrant and perfect for summer! Those dragon fly place card holders are darling! Entering! I love the plates too! You could use solid place mats or a white table cloth so they would really pop. Thanks for stopping by and good luck! Yay! So glad you saw this giveaway and like the dragon fly place holders too. Good luck!